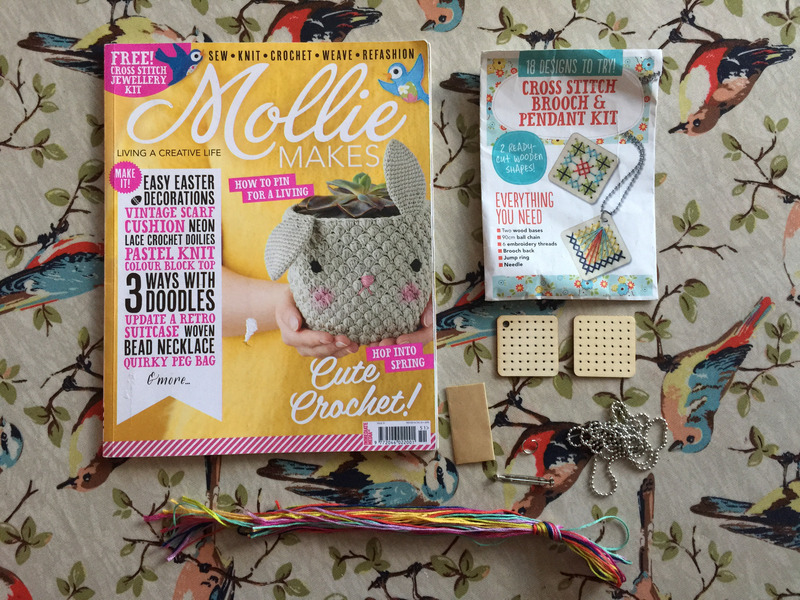 I couldn’t wait to get my hands on the Mollie Makes cross stitch jewellery kit from issue 51. 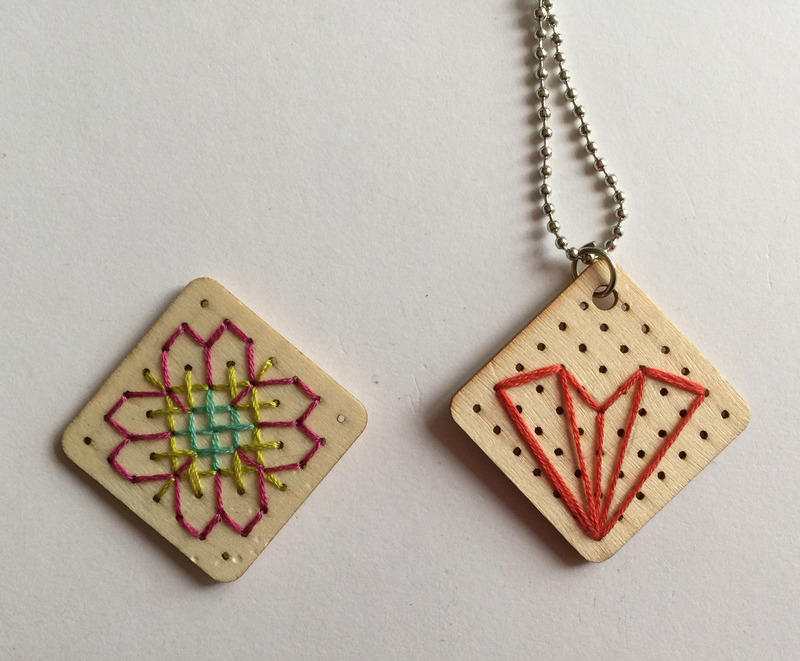 I enjoy cross stitch and have made a couple of things with these wooden pendants before. 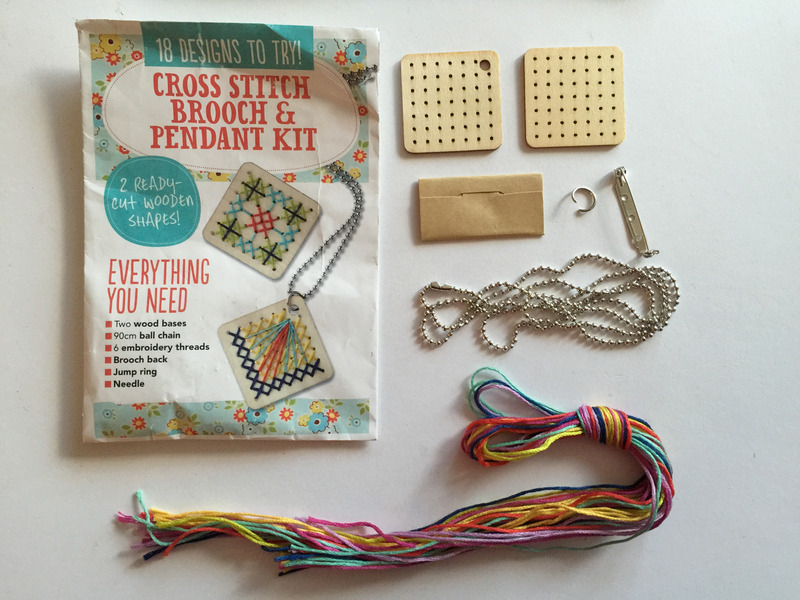 The kit contained two pendants which could be made into a brooch and necklace as well as a page of patterns. I made up one of the patterns from Mollie Makes. 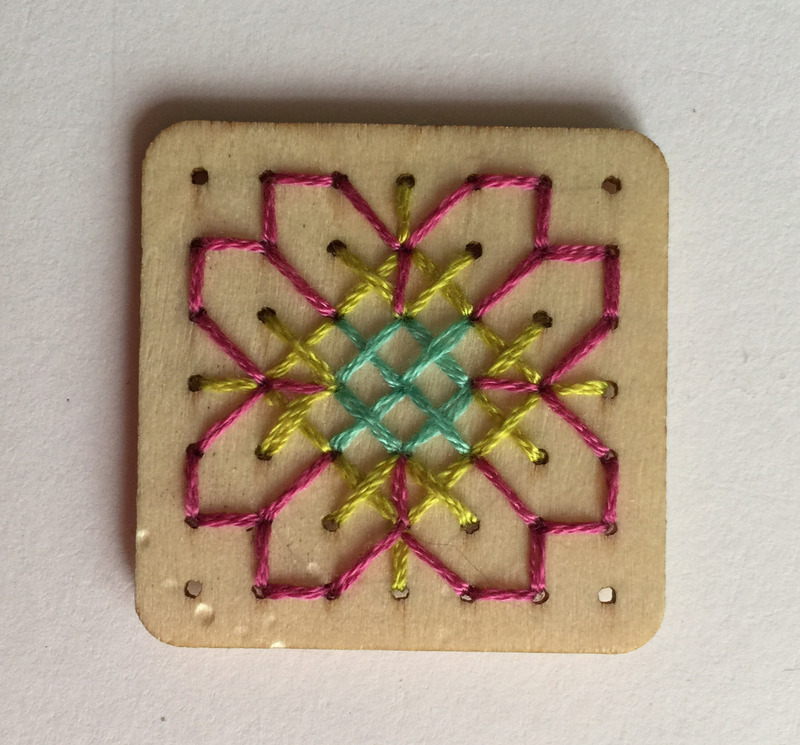 It was a really quick little make and I enjoyed using the colourful threads provided. 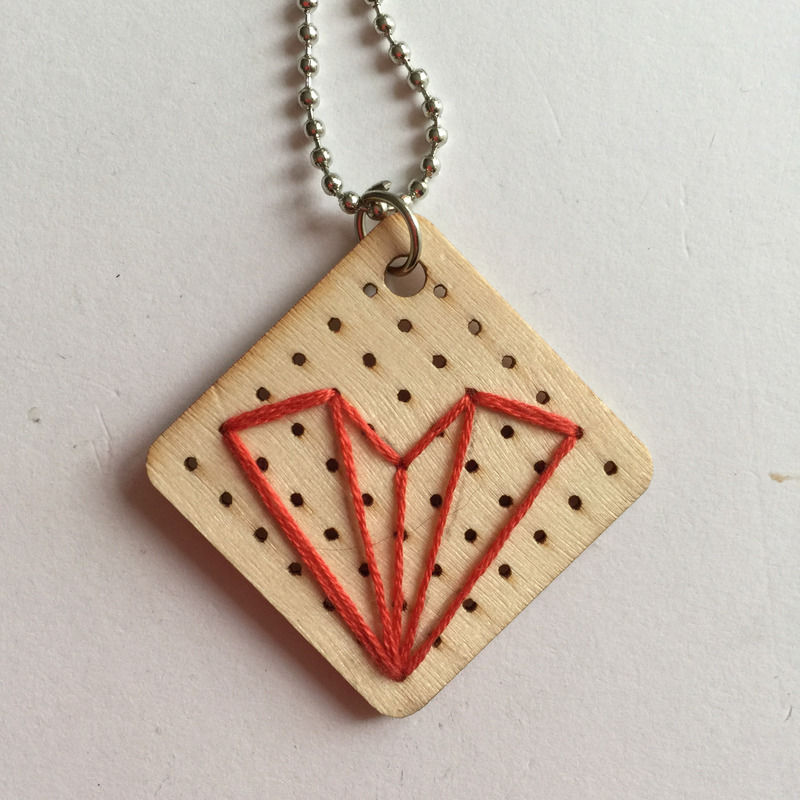 The second pendant I made my own design of a simple heart.